Hi everyone! 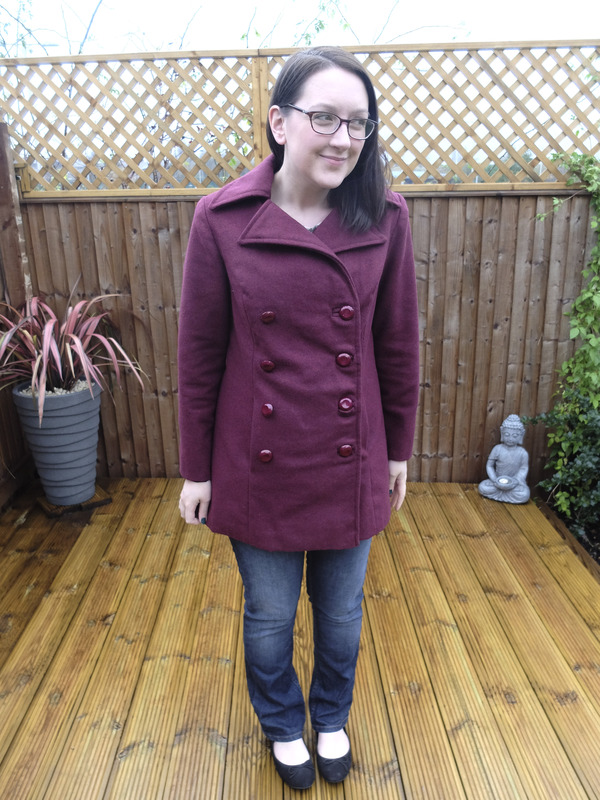 Since the weather matches my blogging schedule (sporadic) I thought I’d share a long overdue finished jacket. As some of you will know from my social media posts I have around 40 unblogged makes. Thankfully five of them have been photographed but I still need to find some blogging time which is proving difficult. Let’s crack on then shall we! 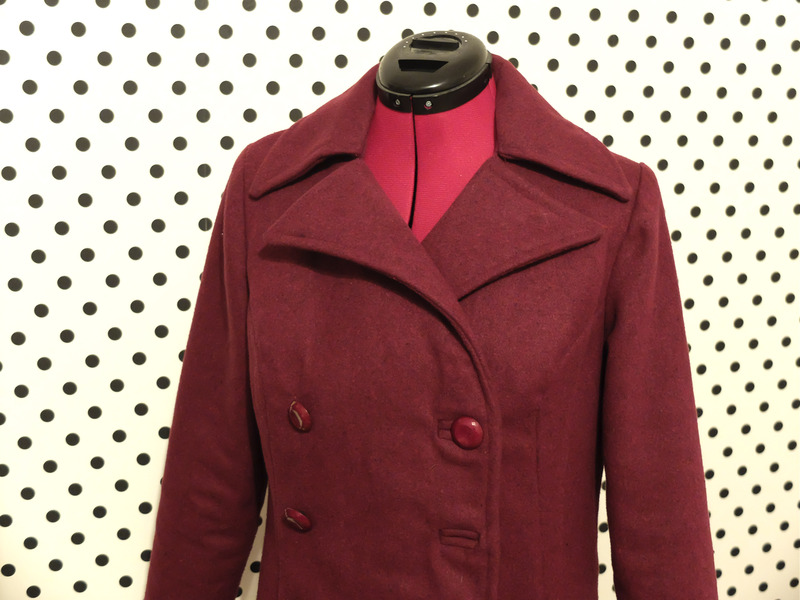 If you’ve considered making a jacket as a step into tailoring I heartedly recommend the Colette Patterns Anise Jacket. It has enough new techniques for someone wanting to learn outerwear but not too many that you can get overwhelmed. I in fact made my first version when I was very much an adventurous beginner, in 2013! 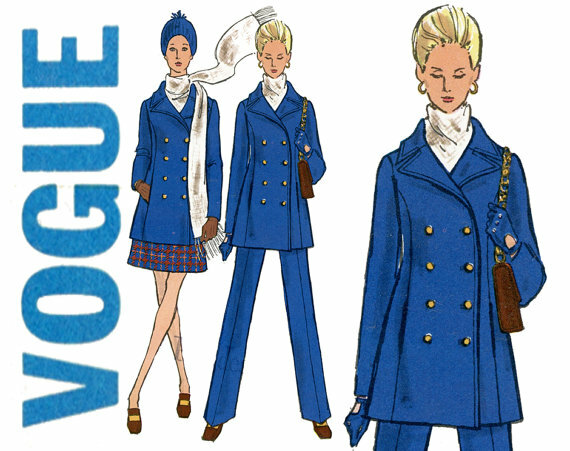 I copied my favourite blue coat and was pretty chuffed with the results… see my fabulously grainy photo below if you don’t have time to click through. I thought given all those years of experience I’ve managed to accumulate it would be interesting to see how I found the pattern four years later (yep this jacket is a year old people). Let’s start by saying the sewalong for this jacket is superb. 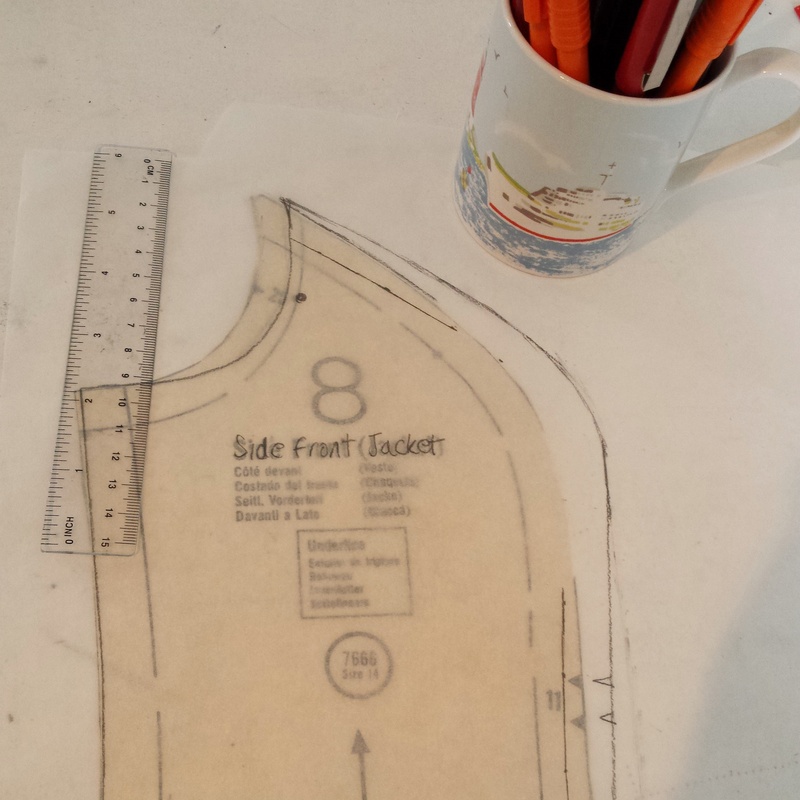 The welt pockets and bound button hole tutorials are excellent and work on many other garments. Probably doesn’t need to be said but welt pockets are super lovely to make but not great for putting your hands in on a bitter English day. 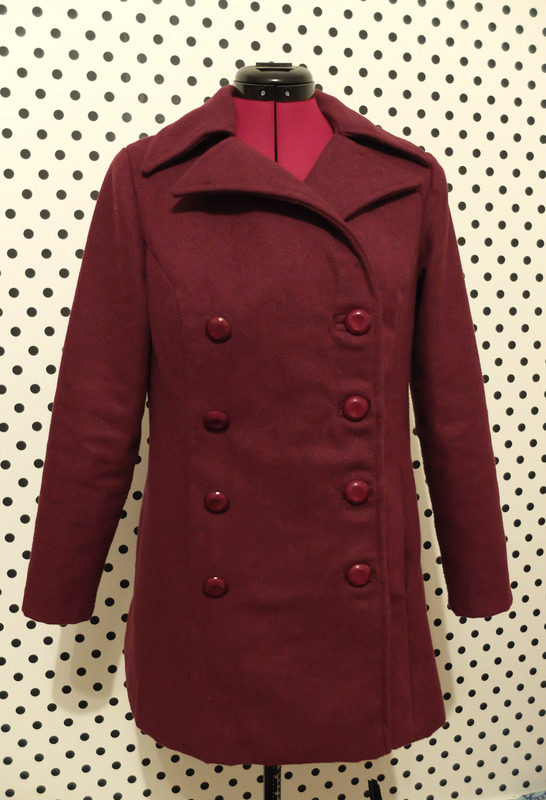 The way the back seams curve to match the sleeve seams at the armhole is also my sign of a superior coat. It drives me crazy when they’re close but intentionally not aligned! Also having made several coats since this I realise how special it is to have a separate pattern piece for interfacing the the roll line. The collar is kind of a pain in that it refuses to neatly meet at the centre front due to the way the buttons strain and move. It still comes together pretty nicely and the clean finish you get by hand sewing everything closed at the armholes and hem is very neat inside. Finding the right interfacing is a mission though and I’m less happy with the boucle version compared to my melton. I was trying to find something that would keep the boucle weave secure but offer the right support and I think I went too stiff. It’s most noticeable to me at the collar where I can feel it sitting slightly unhappily but I think it looks fine. 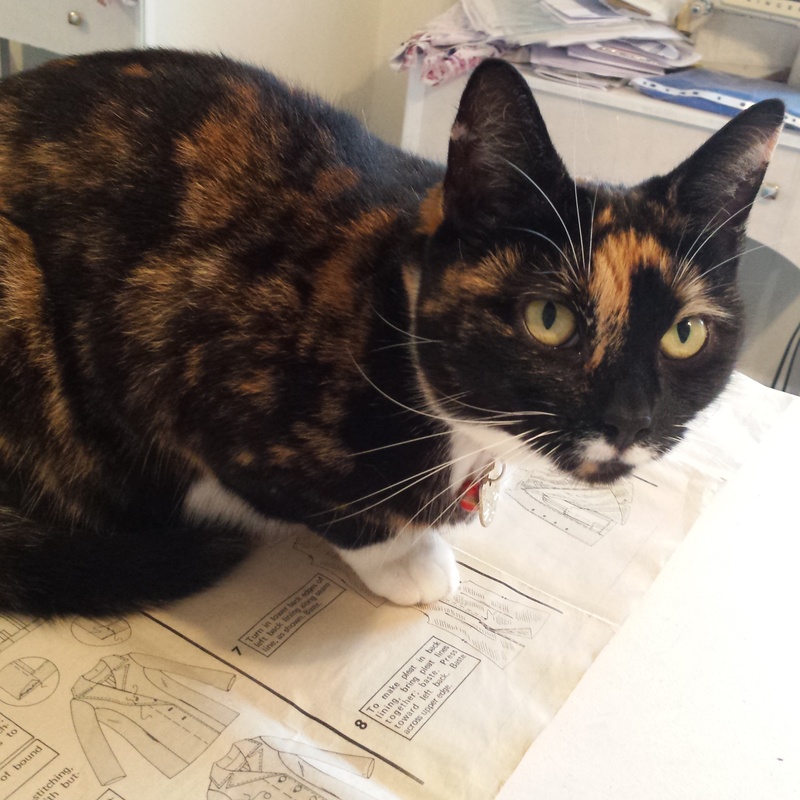 There’s not a lot of help out there for picking interfacing (no magic unicorn saying you must buy this specific weight and brand) because it all depends on your chosen fabric. The only tip I can offer here is that you’re looking to support not harden the fabric or add too much weight. 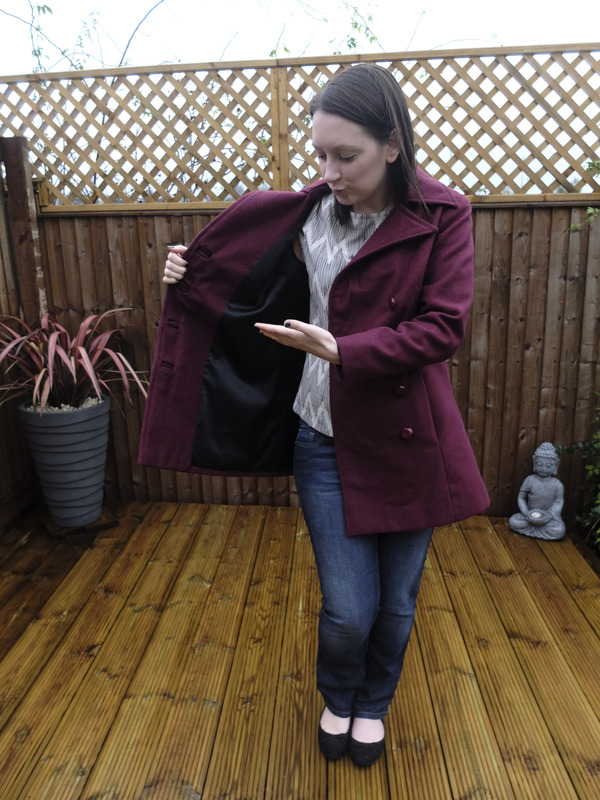 And remember cheap fusible interfacing isn’t built to last and will bubble and unstick itself over time, so if you’re keen to keep your jacket or coat around, invest in the branded stuff! 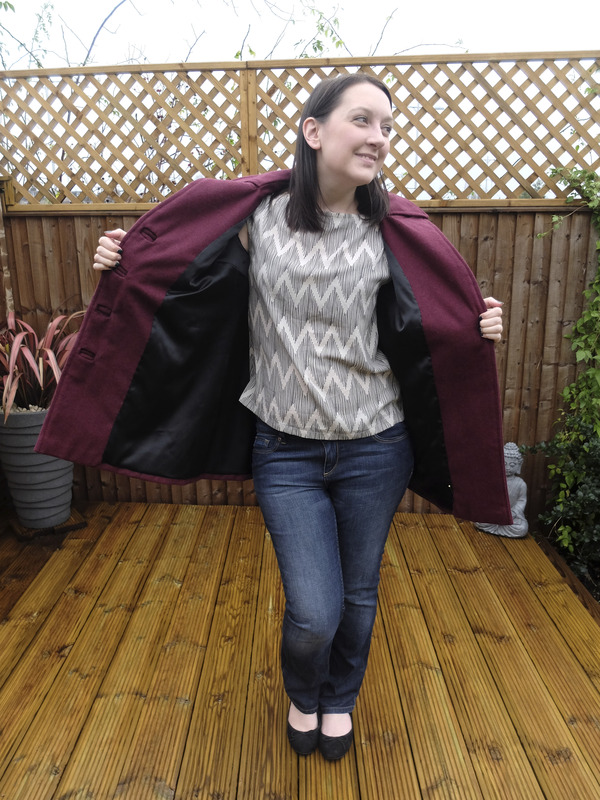 Let me share two bits of wisdom I learnt from making both coats. Number one – don’t use covered buttons, no matter how confident you are that the wool is safely enclosed inside. Years later, your buttons will pop apart from the strain and embarrass you in front of your peers. Not pretty. 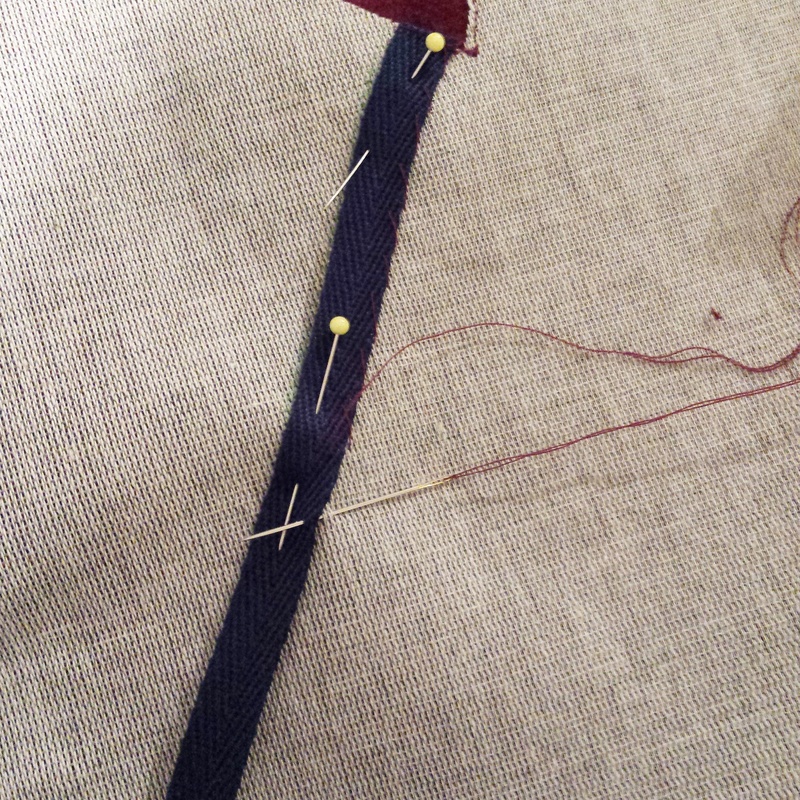 Number two – If you’re not a delicate dresser, use a lining with a tiny amount of stretch. I’m not talking a super spandex mix fabric, but just something with a little give. I always pop the armhole seams on my lining by wrestling myself in and out of my jackets without care. The jackets were I’ve used stretch satin have faired much better. Last tidbit – ALWAYS ADD A HANGING LOOP. My wool was picked up at an excellent open day at Beyond Measure. Grace had sourced small remnants from a Lancashire mill; Offcuts and end bolts, plus colour coordinated bundles. I succumbed to this smooth soft and almost glossy boucle wool with flecks of bright yellow and blue running through. It was £30 for a 1.6m piece, enough for the jacket with nothing to spare! The lining was chosen to match the yellow flecks as good old B&M Fabrics on Kirkgate outside the market. Every time I see it the super flash of gold makes me giddy. Last but not least those fancy polished metal buttons were from Totally Buttons, an excellent online shop. It’s a great little jacket and fun pattern to follow. I’m also super grateful past-Amy taped together the PDF and worked out all the fit kinks so I could just crack on and sew the new version!! I’m pleased I finally got to share it with you. 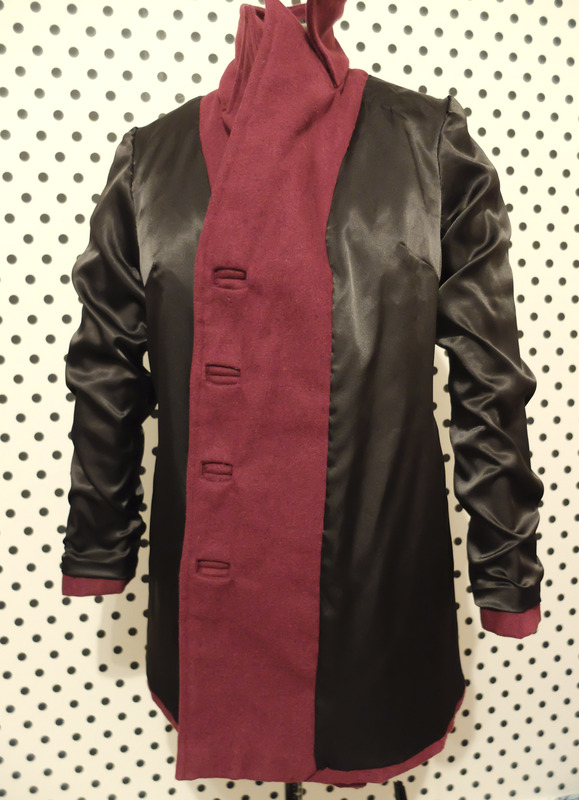 I’ll try not to wait so long to post again, but while I’m gone maybe have a read of these lovely Anise jackets. I love Nicole’s choice of wool, removable faux fur collar anyone?, and let’s swoon at some minty perfection. Visit the sewalong pinterest board for more inspiration!